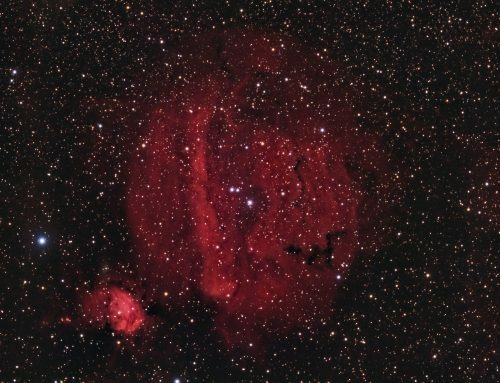 The North America Nebula (NGC7000) dominates the left side of this image, and the Pelican Nebula (NGC5070) is to the right. These clouds of gas are part of a huge complex of emission nebulae lying about 1,600 light years away in northern Cygnus. With an apparent magnitude (brightness) of 4, in theory this object is visible to the naked eye, even though its light is very spread out. I have seen it with my naked eye and with low power binoculars in dark skies north of where I live. It looks like a faintly hazy, irregular patch of grey. I have previously imaged parts of this region at higher resolution. 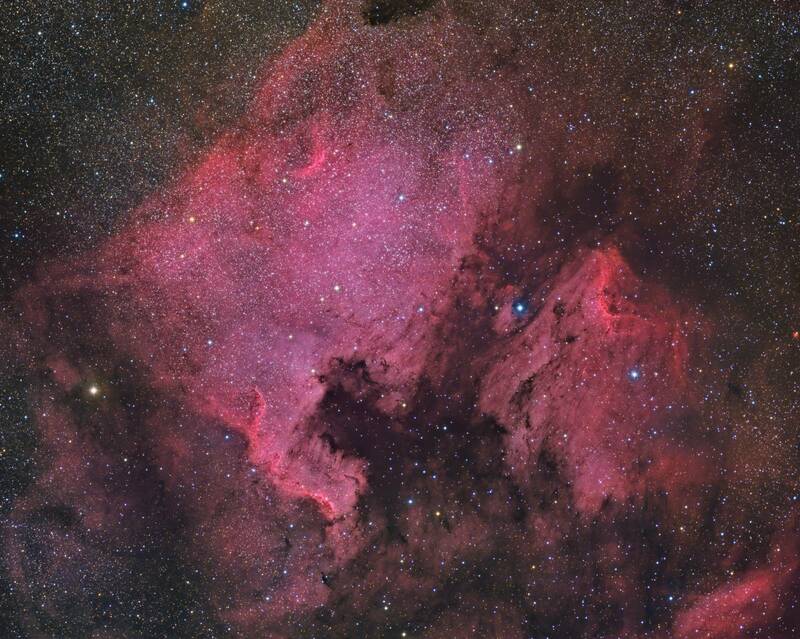 For example, you can find images of the Cygnus Wall (the “Central America” region) and the Pelican. I’ve also imaged these objects in a wider field view. The colour imageave blends the red, green and blue colour channels with data collected through H-alpha filter and Oxygen-III filter. The black and white image at right shows just the H-alpha data alone. A full size image is available by clicking on the image. Moravian G3-16200 EC camera (on loan from O’Telescope), Optolong Ha, O3, R, G and B filters, Takahashi FSQ-106 ED IV at f/3.6, Paramount MX, unguided. Acquisition with the SkyX, focused with FocusMax. All pre-processing and processing in PixInsight. Acquired from my SkyShed in Guelph. Gibbous to full moon for Ha and O3, new to crescent moon for RGB, average transparency and poor seeing. 11x10m R, G and B, 23×20 Ha and 9x20m O3 unbinned frames (total=16hr10m). Creation and cleanup: The BatchPreProcessing script was used to perform calibration, cosmetic correction and registration of all frames. DrizzleIntegration was used to make the channel masters. The R, G, B, Ha and O3 masters were cropped to remove edge artifacts. R, G and B were combined to make an RGB image which was processed with DBE, BackgroundNeutralization and ColorCalibration. Combining Ha, O3 and RGB data: The NBRGBCombination script was run with default settings using Ha for red narrowband and O3 for green and blue. Linear Noise Reduction: MultiscaleLinearTransform was used to reduce noise in the NB-RGB image. Layer settings for threshold and strength: Layer 1: 5.5, 1.0 Layer 2: 3.5, 0.84 Layer 3: 2.5, 0.71 Layer 4: 1.0, 0.55 Layer 5: 1.5, 0.28 Layer 6: 1.0, 0.16. Creation and cleanup of SynthL: The linear Ha, O3, R, G and B masters were combined using the ImageIntegration tool (average, additive with scaling, noise evaluation, iterative K-sigma / biweight midvariance, no pixel rejection). DBE was applied. Deconvolution: A star mask was made to use as a local deringing support image. A copy of the image was stretched to use as a range mask. Deconvolution was applied (80 iterations, regularized Richardson-Lucy, external PSF made using DynamicPSF tool with about 30 stars). Linear Noise Reduction: MultiscaleLinearTransform was used to reduce noise in the background areas of the NB-RGB file. Layer settings for threshold and strength: Layer 1: 5.5, 1.0 Layer 2: 3.5, 0.84 Layer 3: 2.5, 0.71 Layer 4: 1.0, 0.55 Layer 5: 1.5, 0.28 Layer 6: 1.0, 0.16. Contrast Enhancement: HDRMultiscaleTransform was applied in Median mode (6 and 4 iterations) using a mask to protect stars and background. 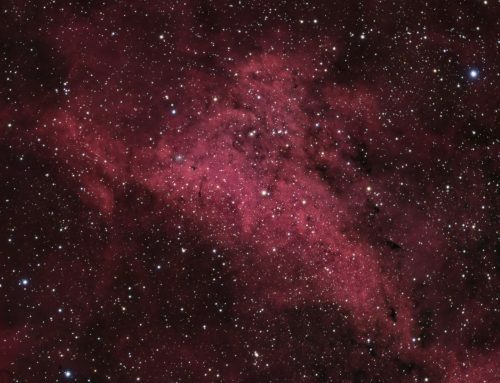 The contrast was boosted with 2 passes of LocalHistogramEqualization with max contrast of 1.5 for both passes (scale 52, strength 0.75 and scale 150, strength 0.25) using the same mask to protect background and stars. Final Steps: MultiscaleLinearTransform was used to sharpen the structures in the bright parts of the nebulae (layers 2-4 at 0.05). Background, nebula and star brightness, contrast and saturation were adjusted in several iterations using Curves with masks as required. SCNR was applied to background areas to reduce a slight green cast. The DarkStructureEnhance script was applied (8 layers, strength 0.15) to accentuate dark features in the nebulae. Image scale is about 1.6 arcsec per pixel for this camera / telescope / combination and Drizzle integration. 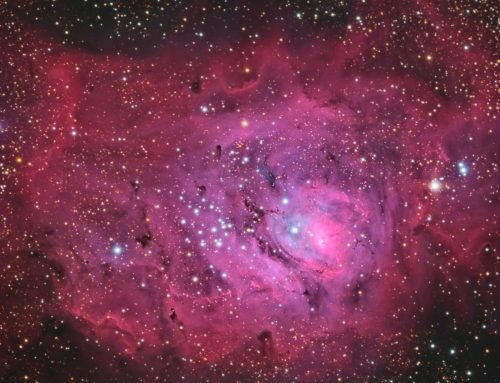 This is the best image I’ve ever seen of this nebulosity! Fabulous; thanks! 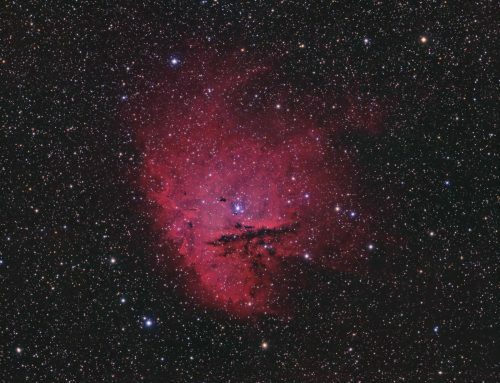 I once had this nebula included in a wide-field view of Cygnus, but, certainly, not to this extent. Quite awesome.